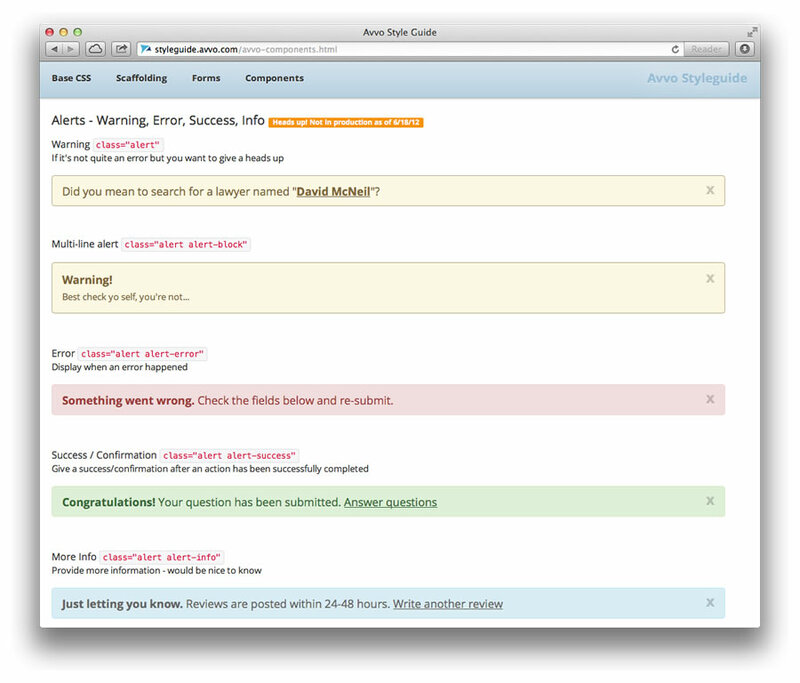 Improve design and development processes within the product team. After recognizing duplicative efforts within design and development, the creation of a style guide would aid in improving efficiency and clarity by reducing discussion on standardized UI and allowing for more time to solve user/business needs. 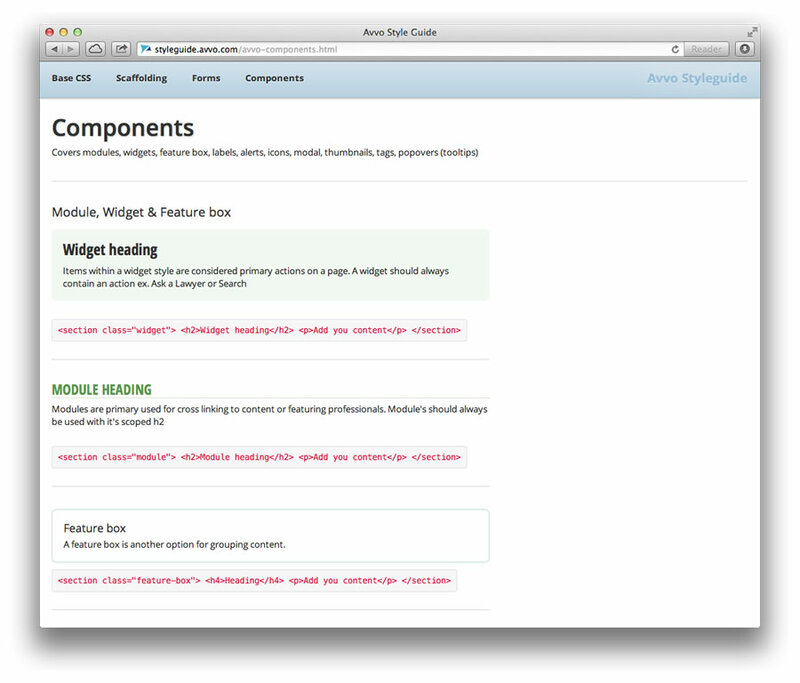 Establish a set of standard styles and implement. First I identified all the highest traffic destinations on the site. 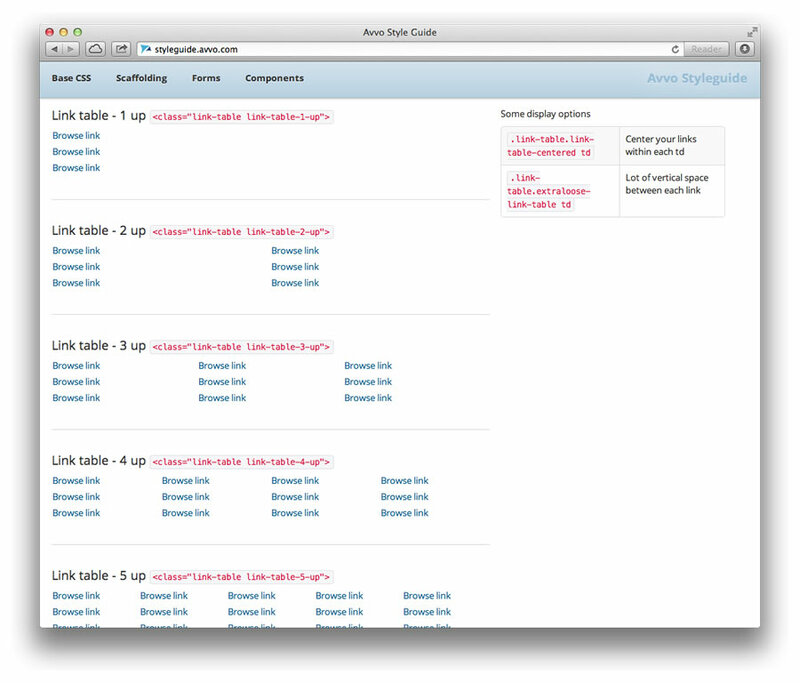 Then I created an HTML/CSS prototype of each page, providing a basis for reviewing and iterating with the design team. 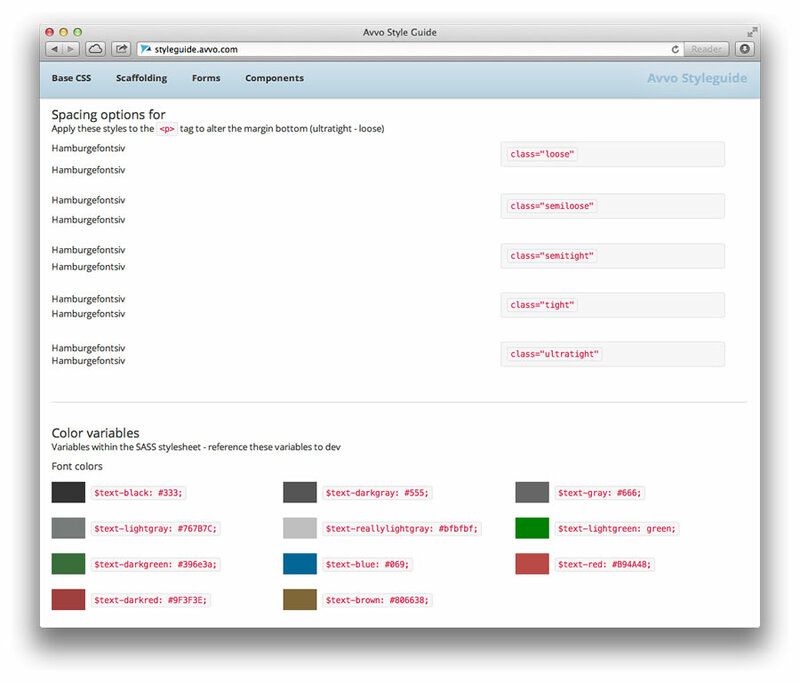 It also allowed for inventory of exactly what styles to include in the guide. 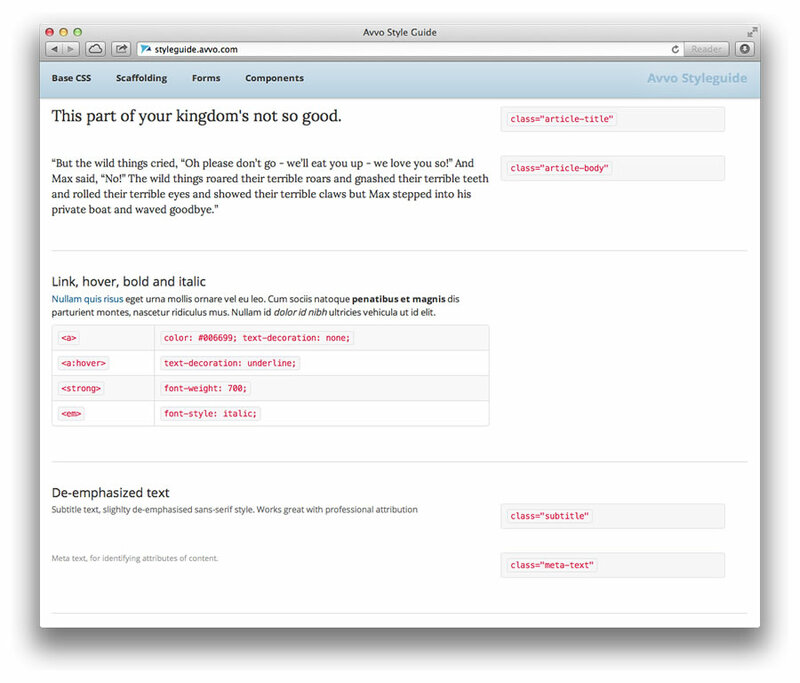 After co-writing the CSS with the lead developer, he wrote the styles for optimization (DRY) and Sass conversion. This corrected many conflicting styles within the design/development team. 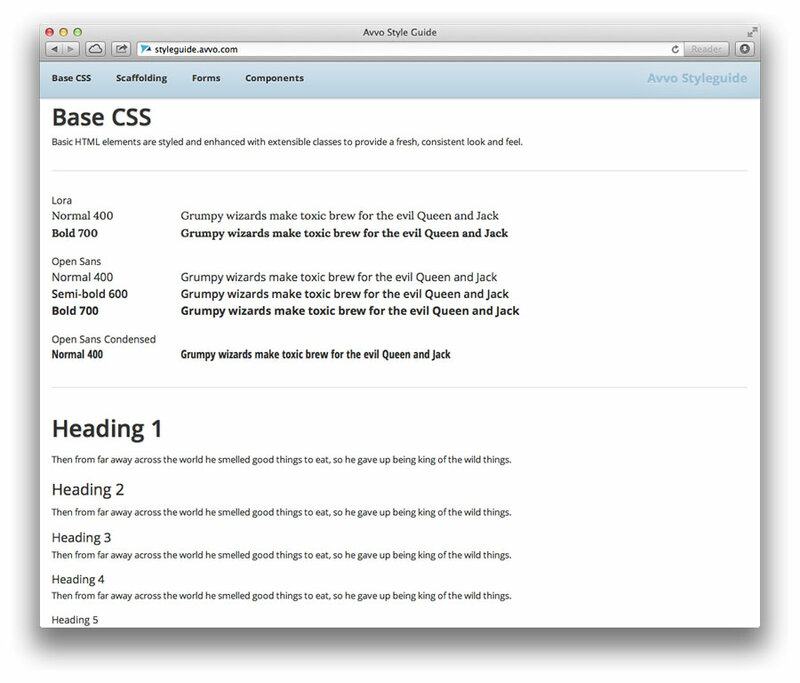 Once a style was optimized and in production I would go back and update the style guide for consistency. 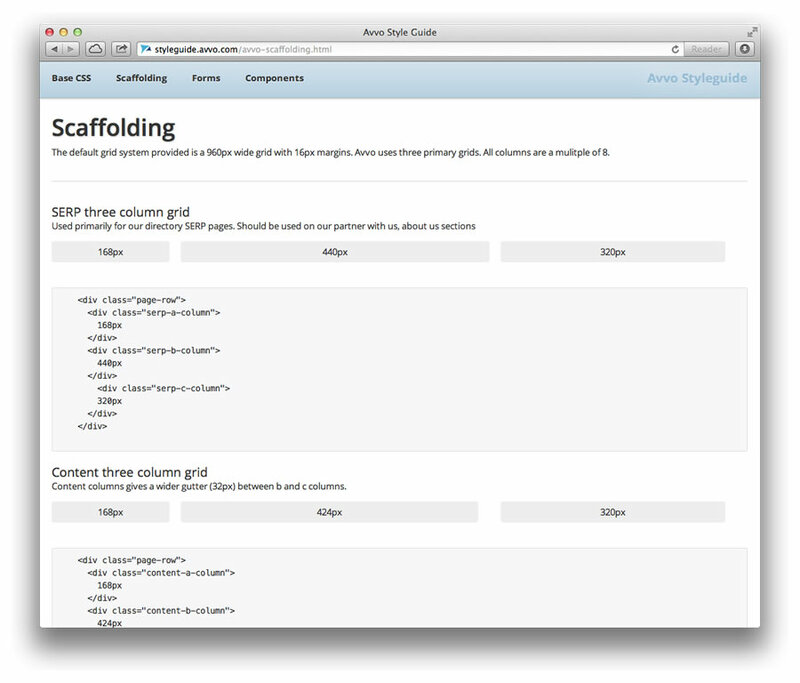 Designer and developers leverage the new style guide and spend less time duplicating efforts. 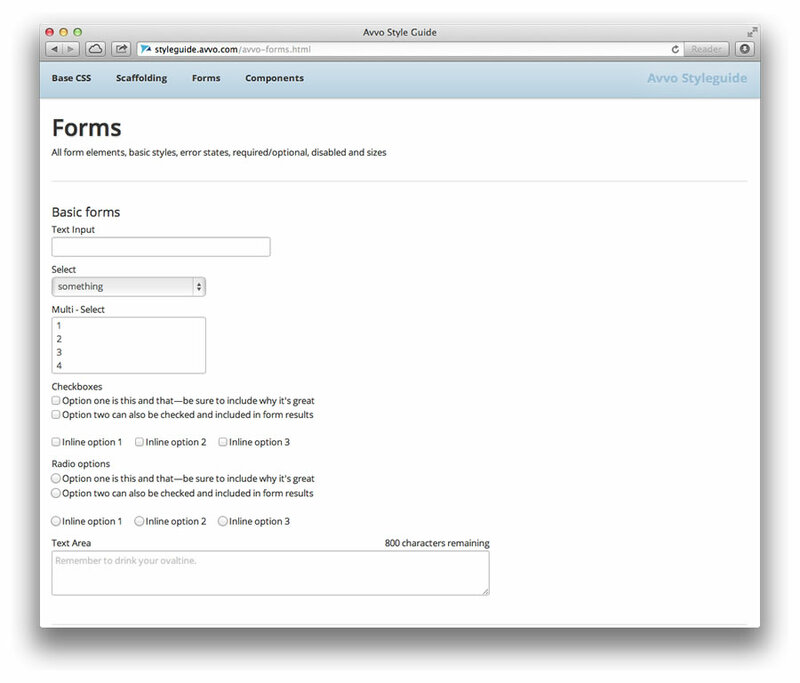 The style guide reduced the amount of effort needed to communicate the design. 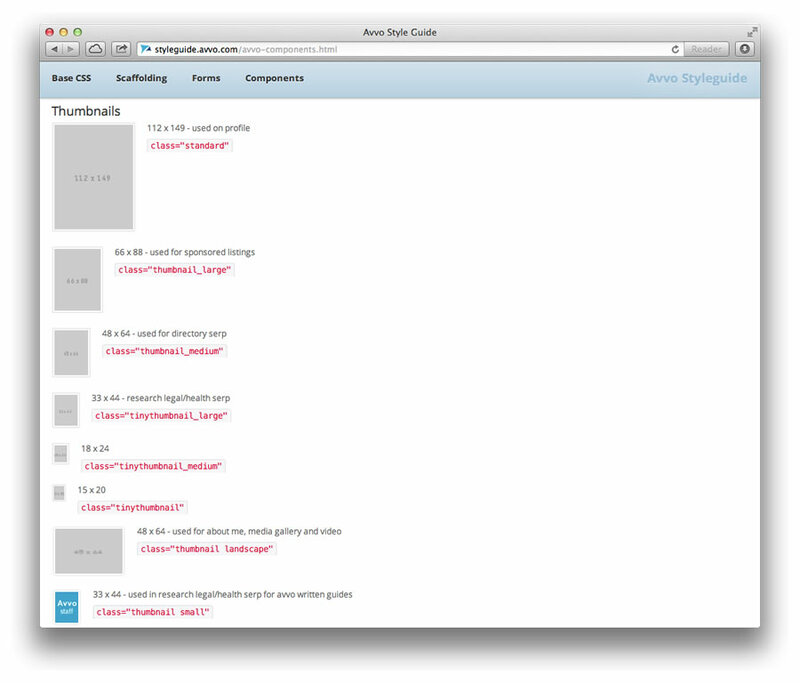 Built in HTML/CSS it allowed design to quickly mockup a prototype in the browser. This gave us a true representation of what it would look/feel like. 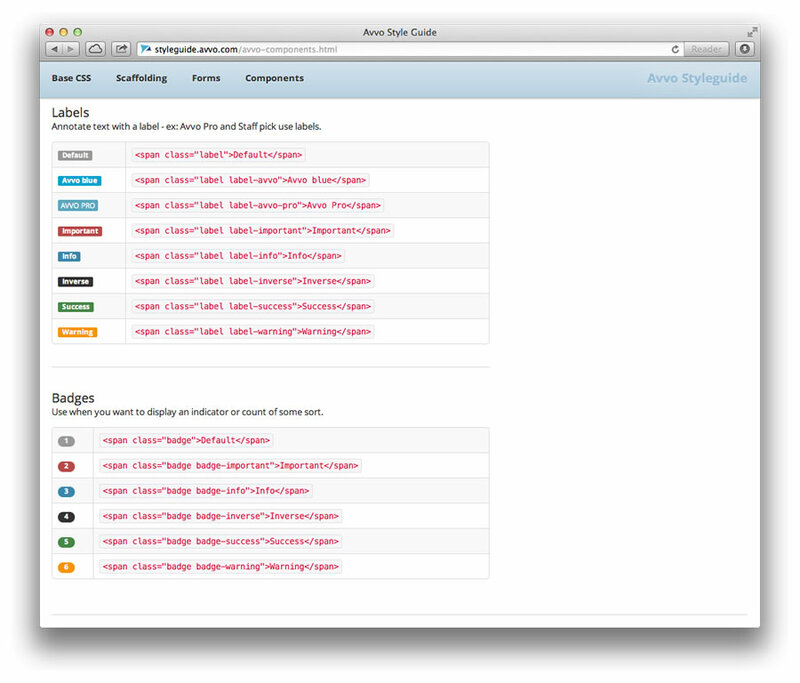 In addition, development would now be able to iterate more independently if a design resource wasn't available. 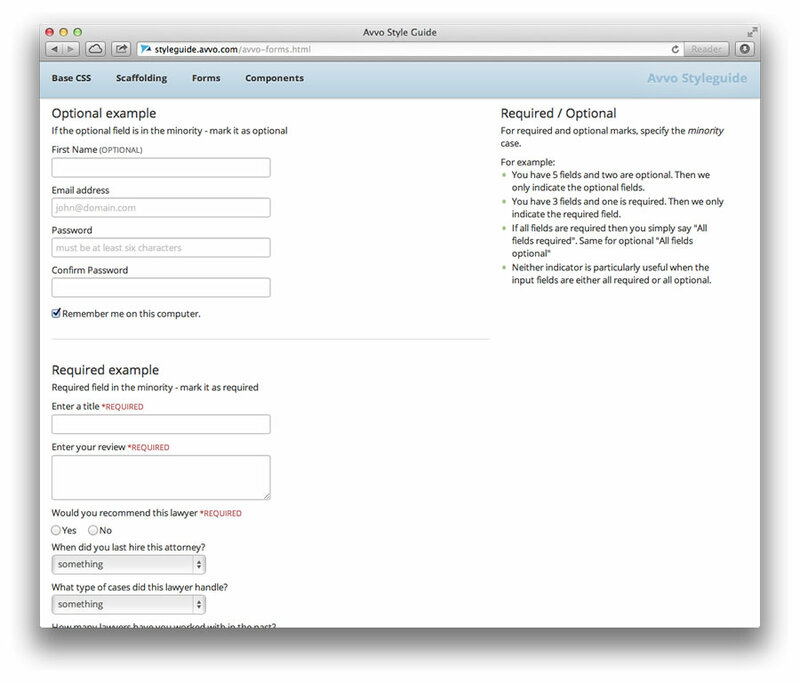 If a developer needed UI, he would refer to the style guide and copy over any necessary CSS properties — saving both time and resources. When the majority of the UI was defined, I hosted a brown bag with the product team and marketing. This allowed all parties to locate and access the style guide, as well as learn how to use it effectively during the design/development phases (e.g. 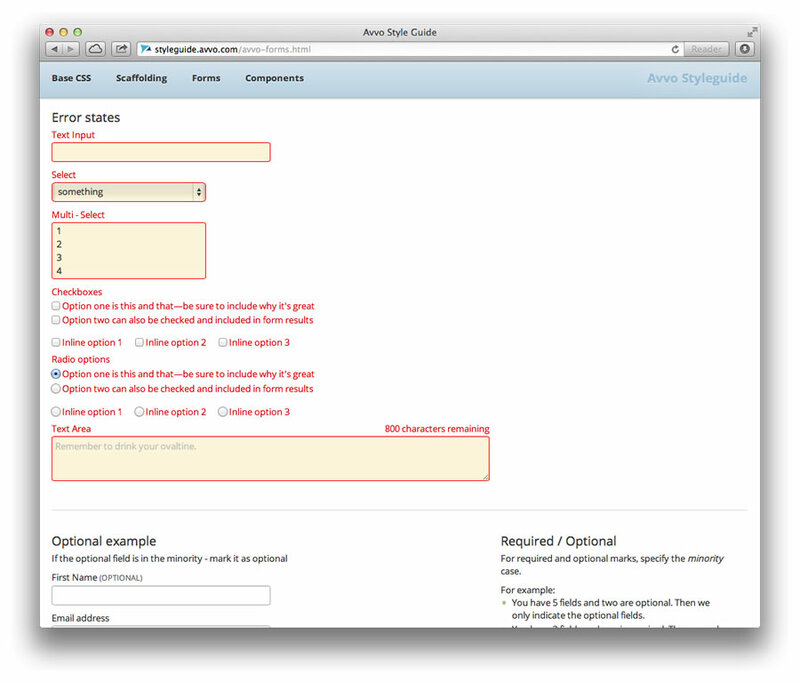 Eliminating the need to create static mockups with red-lines). 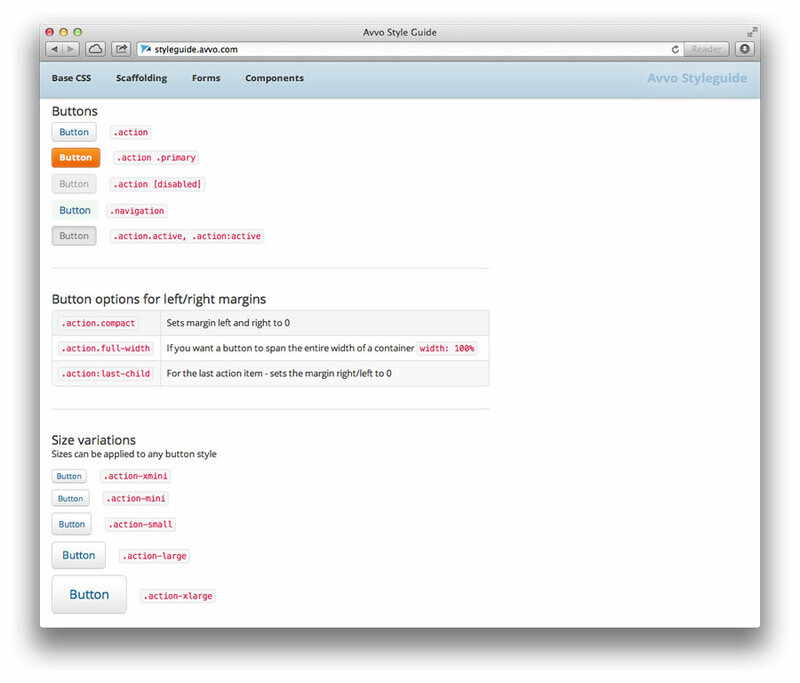 The style guide also allows for a designer to sketch recommendations, annotate the CSS selector and hand off to development.